While witches and spidermen were out trick-or-treating on Via Garibaldi, we spent the Halloween evening here in Venice doing something a little bit different. 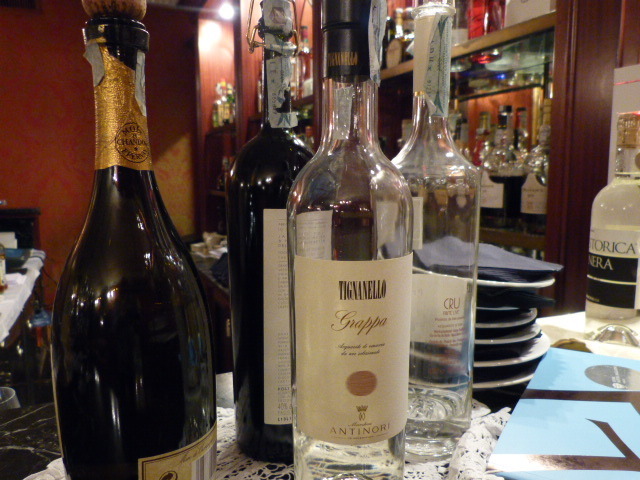 We’d been invited to attend Aperitivo with the Sommelier at Caffè Baglioni, in the five star Luna Baglioni Hotel. 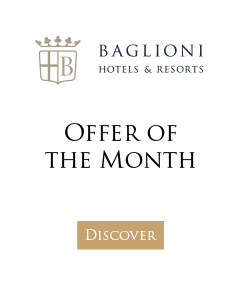 Just steps away from St. Mark’s Square, the Luna Baglioni, Venice’s oldest hotel, is housed in a 12th century palazzo that also was once home to the Knights Templar. The tasting menu for the evening was a selection of wines of the Metodo Classico Trento DOC Altemasi. Under the expert guidance of Sommelier Mauro Di Barbora, we learned Metodo Classico is a unique process of using a second fermentation in the bottle- mixed with some magic and a few secrets. The wines capture the essence of the countryside and of the people from the region of Trentino, the birthplace of these wines. The first of three tastings was a Trento DOC Metodo Classico Altemasi Brut Millesimato 2009, 100% Chardonnay grapes aged on the lees (the secondary fermentation process) for 48 months before disgorgement. 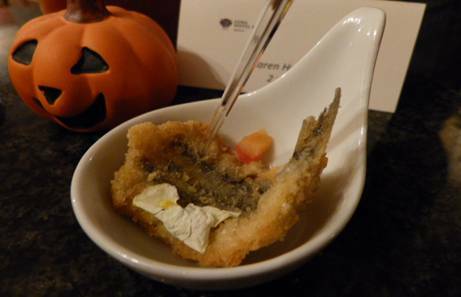 Paired with fried anchovies Milanese style, this was a lovely, bubbly golden wine. The second grouping offered was a Trento DOC Metodo Classico Altemasi Brut Riserva Graal 2004, 70% Chardonnay and 30% Pinot Noir white grapes with 72 months on the lees, paired with Norwegian smoked salmon canapès with wild dill. Also bubbly, but slightly more intense flavor, this wine got my husband’s vote for the best wine of the night. Thirdly, we were served a Trento DOC Metodo Classico Altremasi Brut Rosè, 70% Chardonnay and 30% Pinot Noir rosè grapes aged 24 months before disgorgement. Paired with culatello ham from Sauris on integrale bread, this wine received my vote for outstanding choice of the evening. Bubbly, light, just a blush of rosè, it was perfect for me. 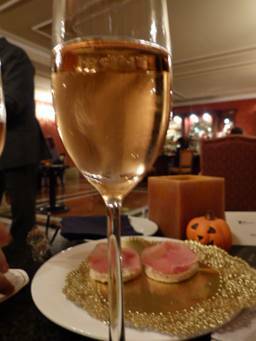 Caffè Baglioni, an intimate salon tucked into the main floor of Luna Baglioni, was the perfect spot for an elegant soiree of winetasting. We particularly enjoyed the personal touches – from warm greetings by Federica Antonucci, our hostess, at the door to the Sommelier’s explanations of each paring given individually which allowed us an opportunity to discuss the wines with him. 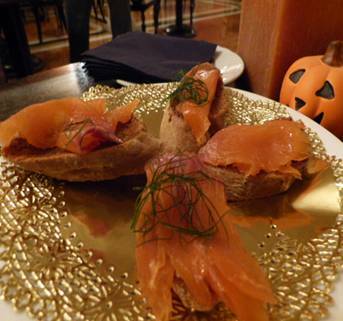 The Caffè, adorned with a bit of tasteful Halloween decor, helped put us even more in the mood to enjoy the evening. Our sincere thanks to Luna Hotel Baglioni and their gracious staff, in particular Federica, Mr Mauro Di Barbora our Sommelier, and San Marco Beverage Network Venezia S.p.A for presenting such an educational and tasty event. 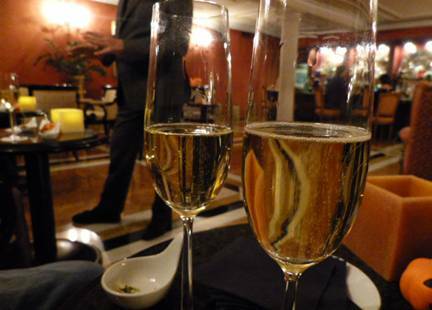 Next time you are in Venice, I encourage you to see what events might be going on at Luna Hotel Baglioni, and certainly stop in at Caffè Baglioni for a drink after a long day of touring in Venice. Karen Henderson and her husband Michael moved to Venice in 2008 to escape the rat race of their hectic American careers. Karen blogs about their transition to expat life and their daily adventures in Venice on her blog, The Venice Experience. Concierge tip: You still have time to catch the Tomaso Buzzi at Venini exhibition at Le Stanze del Vetro in Venice, just minutes by taxi boat from Luna Hotel Baglioni.